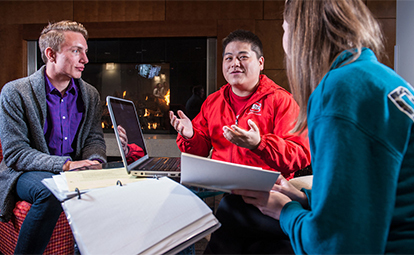 Students who choose an intercultural communication major will prepare to work effectively in a culturally diverse and increasingly interdependent world. You'll be introduced to the dynamics, opportunities and challenges of communicating with people from all kinds of backgrounds and traditions. You'll master problem-solving and critical-thinking skills as well as intercultural communication principles. You'll explore opportunities to use them locally, nationally and abroad. The leadership skills you develop will be valued in personal as well as professional situations. And, your degree will complement many areas of study to create a unique opportunity for work in your fields of interest. Extensive on-campus and community activities that enhance multicultural and global learning perspectives. 10 scholarship funds focus on communication studies.